The Roto Hammer E Series Direct-Mount Chainwheel is designed to provide a truly custom fit. Instead of clamping on to the existing handwheel, the E Series mounts directly to the valve stem and replaces the handwheel. 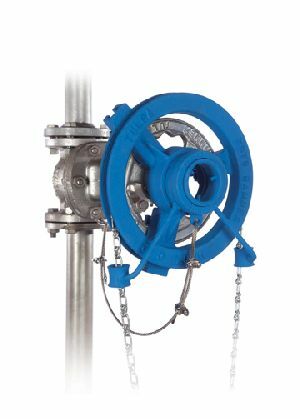 This eliminates the need for multiple clamps and hardware sets and provides a more streamlined, secure fitting of the chainwheel to the valve. The E Series can be bored to customer specifications or shipped solid for machining by the customer. 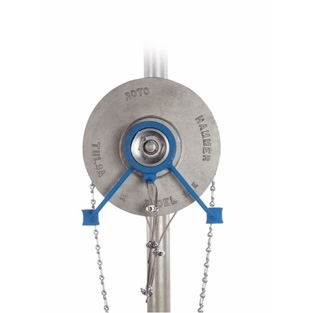 When ordering, provide diameter of existing handwheel and length of chain required.